How can Riviera Finance help with my company’s payroll funding? Riviera Finance provides payroll funding and added cash flow through accounts receivable factoring and payroll factoring. By choosing this form of small business financing over a small business loan, you are choosing more cash flow without adding debt. Our full-service invoice factoring can provide working capital, payroll advances, payroll services, and more for your temporary staffing company. Unlike a small business loan, a payroll factoring line will maximize your working capital without adding debt. Factoring brokers know that factoring is an excellent and flexible small business financing tool for temporary staffing companies. Payroll factoring is a specialized form of accounts receivable factoring. By submitting signed time cards and invoices, you can receive immediate payroll funding. 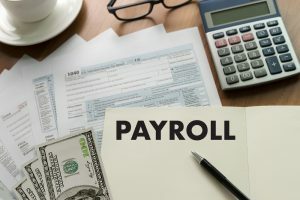 Our full-service product not only gives payroll advances, but cash for all the costs of running your temporary staffing company, while providing complete back-office payroll services. Compare our debt-free method of small business financing to small business loans. Factoring brokers and their clients have been using Riviera Finance for accounts receivable factoring and payroll factoring for 40 years. Some use us only to raise working capital for payroll advances. Others use our full-service payroll funding program including payroll services. Let Riviera Finance design a solution for your needs. Factoring brokers? Contact Riviera Finance for complete program information.